Since 1995, Elizabeth has been Co-Artistic Director of the Corryville Suzuki Project (CSP) with her husband Vincent. The Phelans direct the CSP Summer Camp, TEEN STRINGS program, and train instructors. Vincent and Elizabeth also facilitate the annual Cincinnati City-Wide Suzuki Violin Play-In. As guest teachers, the Phelan’s give lectures for workshops in the Tri State area, and teach and perform at Suzuki Institutes. 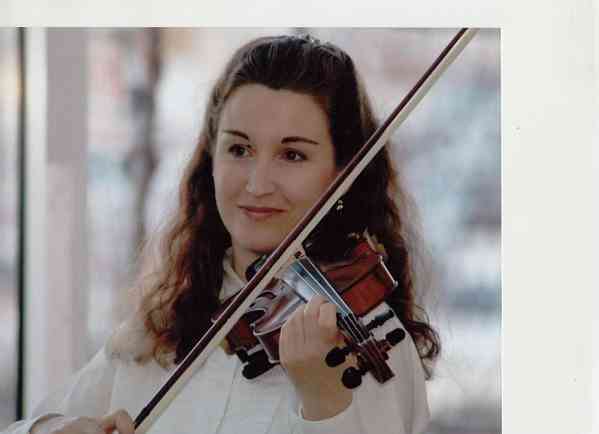 Elizabeth is Principal Violist of the Middletown Symphony. She has performed with the Cincinnati Ballet Orchestra, Columbus Symphony, Dayton Philharmonic, and the Richmond (Ind.) Symphony. As a college student, she performed with the All-American College Orchestra at Disney’s Epcot Center. Elizabeth received her Bachelor of Music degree in Viola Performance from the University of Missouri-Kansas City. She holds a Master of Music degree from the University of Cincinnati College-Conservatory of Music (CCM) where she was a scholarship student of Peter Kamnitzer, famed violist of the LaSalle Quartet. Elizabeth studied Suzuki pedagogy with Michelle George, Nancy Lokken, Joe McSpadden and Ronda Cole. Elizabeth taught church music for eight years to grades 1-4 for the Guardian Angels Religious Education Program in Mt. Washington for eight years. Elizabeth has taught in Cincinnati at the Musical Arts Center and the CCM Preparatory Department where she also taught music theory. Other former teaching positions have included “The Music Stand” in Shawnee Mission, Kansas, and the Blue Lake Fine Arts Camp in Twin Lake, Michigan.